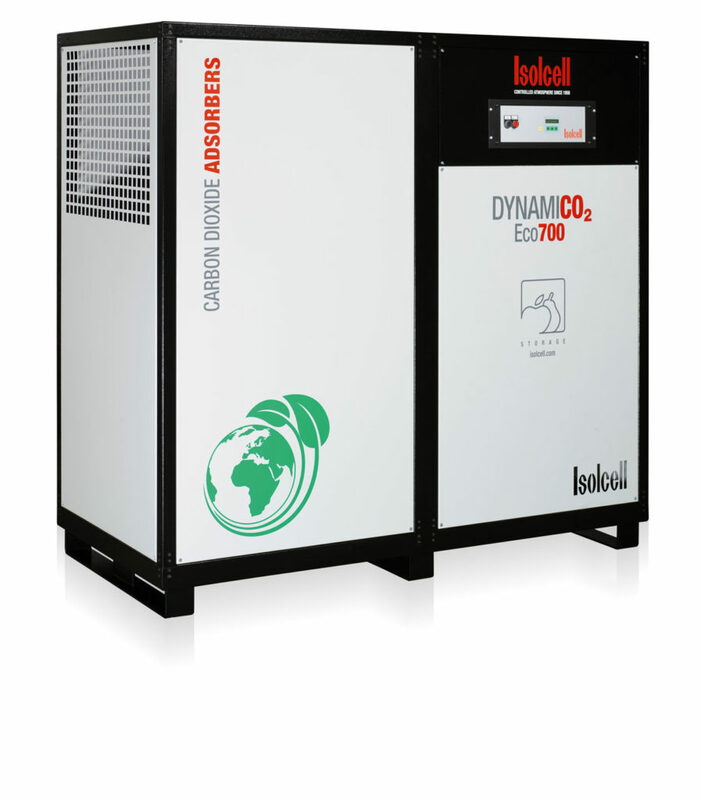 The superior quality of the active carbon we use has always characterized our CO2 scrubbers, ensuring optimum performance as regards absorption and regeneration cycles, as well as a longer service life. Also, the choice of the components used to build Isolcell’s equipment is designed from the start to guarantee sturdiness and reliability in extreme conditions. The scrubber communicates in real time with the ISOSOFT automatic management system, to adapt its functioning in operation on the basis of the atmosphere detected in the various storage environments, thereby providing the most advanced technical solution for DCA storage. Thanks to their Automatic Cycle Adjustment (ACA), Cycle Ending Function (CEF), Nitrogen Injection Function (NIF) and Nitrogen Saving System (NSS) our scrubbers are the only ones on the market that can achieve the most extreme levels of O2 and CO2 while minimizing energy consumption.